Kolkata: The West Bengal government is considering setting up a thermal power plant on the land in Singur that in 2007 was leased to Tata Motors Ltd for a small car project, according to two state government officials who didn’t want to be named. 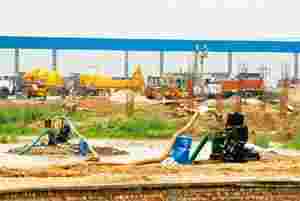 Officials of WBPDCL and state-owned Bharat Heavy Electricals Ltd, conducted a survey of the project site on Thursday, according to an official of the power department. “Our team took a close look at the site, including the area that was allotted to Tata Motors’ vendors," he said. “We have asked WBIDC for a detailed map of the site, the soil test report and other details." Both officials didn’t want to be named. WBPDCL wanted to visit the site, said Sabyasachi Sen, principal secretary of the state’s commerce and industries department, adding that officials of the West Bengal Industrial Development Corp. (WBIDC) “who know the site inside out accompanied them." The 997-acre plot in Singur is owned by WBIDC, and was given on a 99-year lease to Tata Motors. Though the lease has not been terminated, Tata Motors has said it would vacate the land if it was compensated for its expenses. Tata Motors abandoned the Singur site and moved its small car factory to Sanand in Gujarat a year ago following violent protests by local farmers against what they said was forcible land acquisition. Asked how much land the proposed power plant would need, the official in the chief minister’s secretariat said it would be 700-800 acres. The power development official refused to comment. “Let us see if the site fits our requirement," he said.